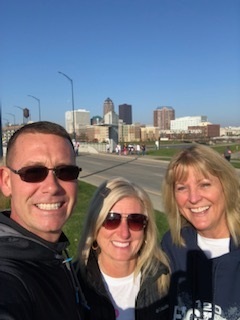 Diane & Becki participated in a local health fair providing dental materials & education to local college students, teachers & local businesses. 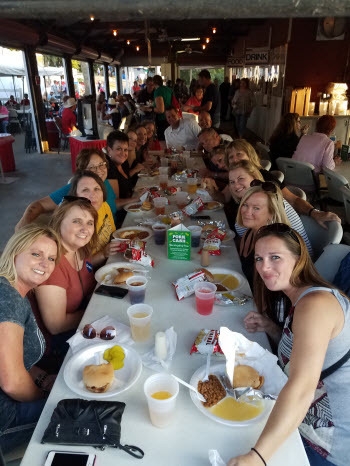 If your business would like our office to come out to an event or simply to let you know what services our office can provide for you and your employees, please call us at 515-287-2493! 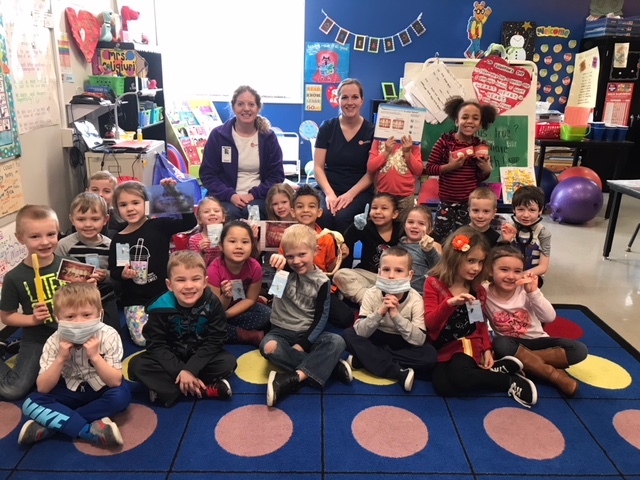 February is "Children's Dental Health Month" & our office is excited to promote dental health by visiting children at their schools. February is a busy month for our dental assistants Christin & Joni. 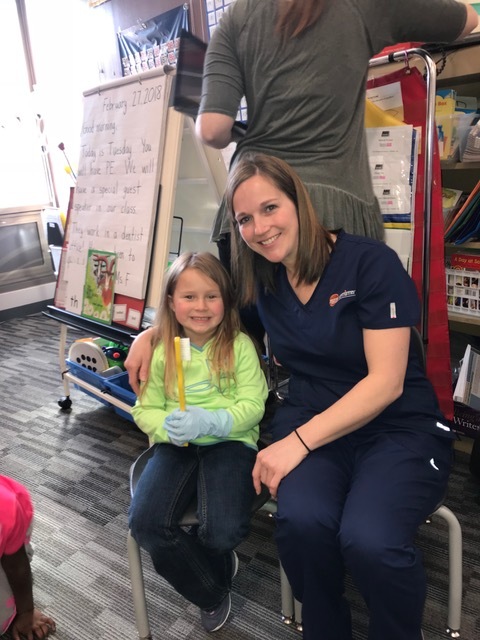 These photos show Christin & Joni at a couple of the many schools they visit, teaching the children about dental health. Fleur Dentistry provides toothbrushes & educational material for approximately 700children at 10 different schools each year. Office outing at The Republic On Grand. 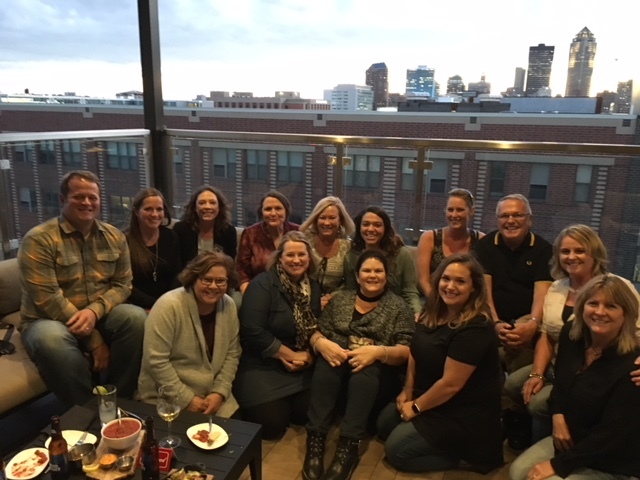 The Doctors & team enjoyed an evening out together socializing. 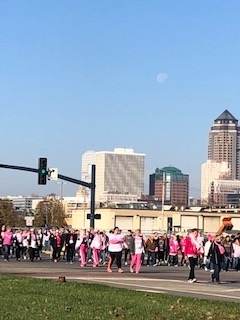 What a view of downtown Des Moines!! 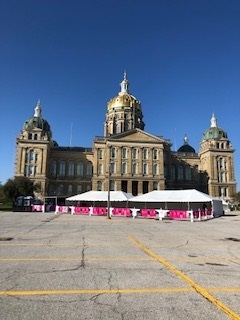 Iowa State Fair event. Taking time out to have some dinner at the Iowa Pork Producers building. 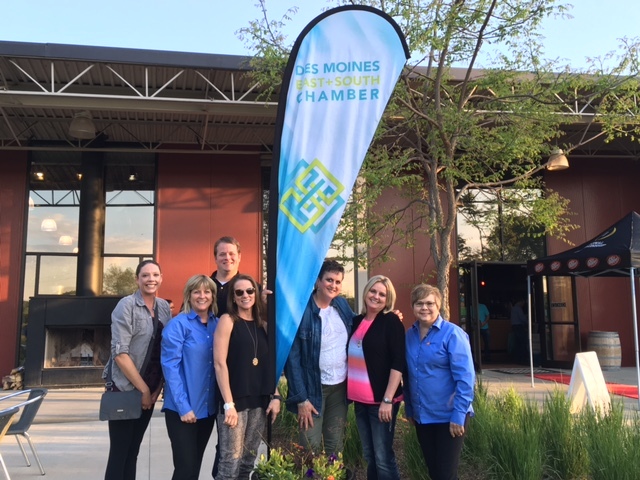 Supporting the Des Moines East/South Side Chamber. Taste of the South Side event at Jasper Winery. 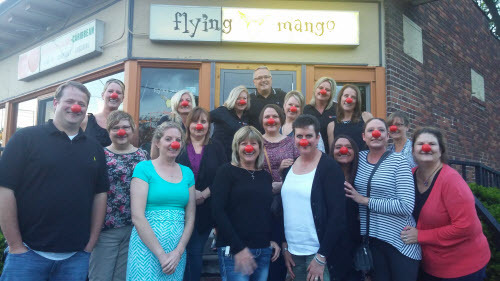 Dinner out at Flying Mango....it was Walgreens Red Nose Day! Celebrating JoAnn's retirement at Glen Oak's Country Club. We hope you enjoy retirement JoAnn!! 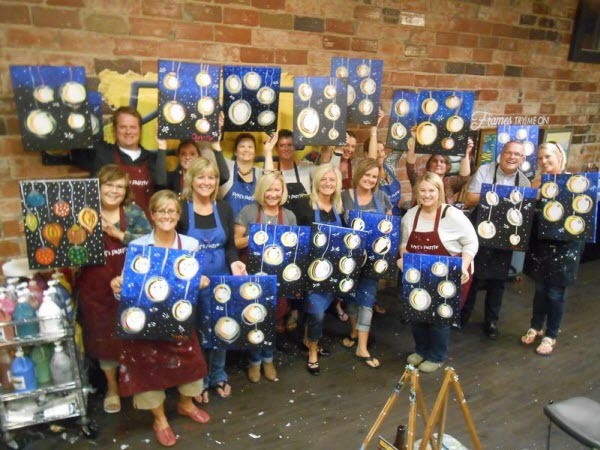 Wine & Canvas event at Pino's Palette. What a great group of artists! !